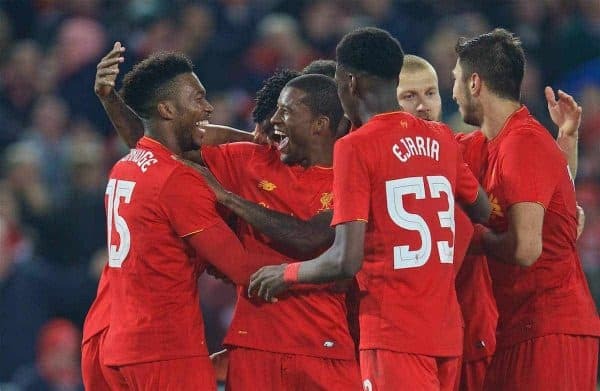 Tuesday’s League Cup victory over Tottenham illustrated the squad depth that Liverpool now possess, and Jurgen Klopp has effortlessly achieved it in the space of just 12 months. 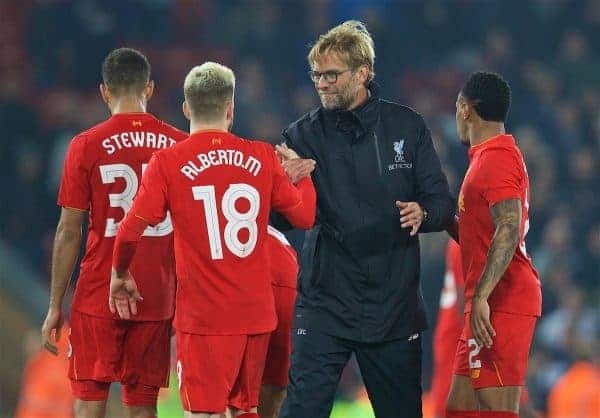 When the starting line-ups were released ahead of the League Cup fourth round tie, there was general surprise at the team Klopp had selected. Not a single player from the side that started against West Brom begun proceedings against Mauricio Pochettino’s team and there was a fear that it could be too bold a move. Instead, a makeshift Reds side outplayed a similarly weakened Spurs outfit, with an eclectic mix of youngsters, elder statesman and top class fringe players all getting the job done in relatively comfortable fashion. 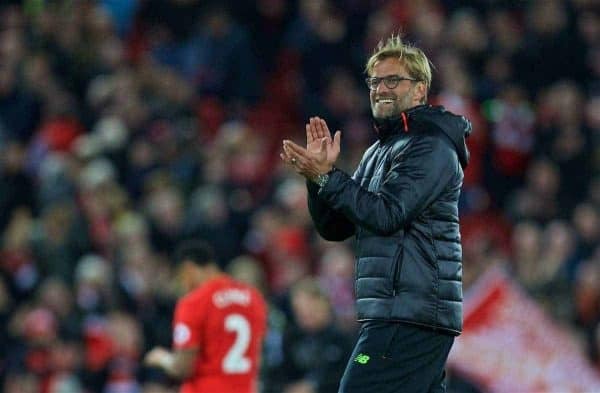 To see 11 completely different players perform in such a similar manner to Klopp’s West Brom XI says everything you need to know about the job the German is doing, and most importantly, the squad he has built. Not since Gerard Houllier’s reign in the early 2000s have Liverpool had so many options all over the pitch, and it could be crucial in their quest for dominance in the coming years. Before the game, Pochettino described Liverpool’s squad as “one of the best squads, if not the best, in the league” – something that almost feels alien to Reds supporters. For so long, we have had to witness the likes of Roy Evans, Rafa Benitez and Brendan Rodgers field excellent first-choice line-ups, but have little to fall back on. Too often, individuals have been tasked with producing match-winning moments of magic – Michael Owen, Steven Gerrard and Luis Suarez, to name but a few – rather than having an entire squad who can be relied upon. In the past, making eleven changes to the team was virtually Liverpool surrendering to the opponent. The performance would be disjointed, certain players would not be in-tune with the style of play and everything would feel flat. The situation couldn’t be more different now, though. The way Klopp has eradicated this issue is no fluke, and it is testament to him and his coaching staff that they have got everyone pulling the same direction, both in terms of their quality and attitude. 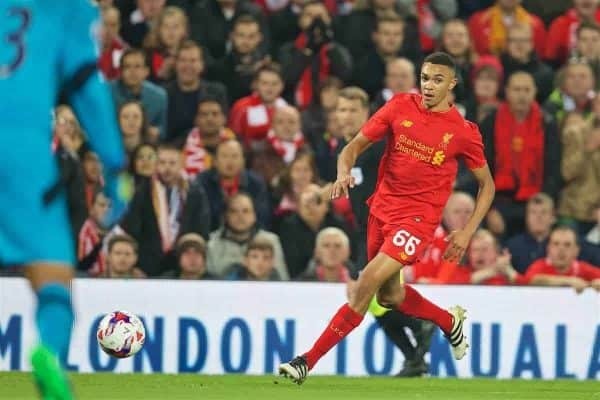 Youngsters Trent Alexander-Arnold and Ovie Ejaria came in against Spurs and didn’t look remotely out of place, whereas youth team products of yesteryear often did. They have benefited enormously from working with Klopp, and the confidence he has instilled in them will work wonders. Simon Mignolet proved he is a more than capable back-up to Loris Karius; Ragnar Klavan and Lucas Leiva were solid at the back; Alberto Moreno was improved at left-back; Kevin Stewart and Marko Grujic slotted nicely into the midfield. Then there’s Liverpool’s attack, which looks more healthy than it has in a very long time. The first-choice front-three of Sadio Mane, Philippe Coutinho and Roberto Firmino could all afford to be rested, with Daniel Sturridge and Divock Origi coming in to great effect as a front-two. Rather than sulk about not playing enough, as has been the case with previous players under previous managers, both strikers were excellent, whether it be individually or in tandem. The introduction of Danny Ings in the second-half further highlighted how much depth Klopp has created. To have Nathaniel Clyne, Emre Can, Adam Lallana, Karius, Lovren, Mane and Ings on the bench, and the likes of Joel Matip, Jordan Henderson, Coutino and Firmino at home with their feet up, speak volumes. Like any top side, there is a feeling that any current player could come into this Liverpool team and do their job well. This was the genius behind the Reds’ dominant sides of the 1970s and 1980s, and as a more depressing example, Alex Ferguson’s all-conquering Man United teams of the 1990s and 2000s. 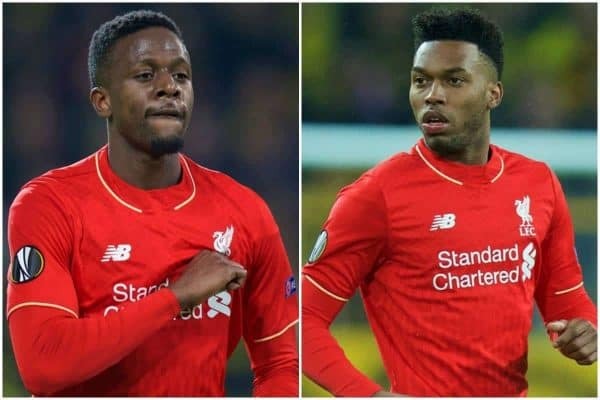 We are no longer at a point where injuries to a couple of key players feels fatal – Sturridge’s importance used to be huge, now he is a squad player – and several changes make little difference to the level of performance. In the past, just one or two changes used to fill Liverpool fans with horror, with average players coming in and failing to do what was required of them. In 2013/14, Victor Moses and Iago Aspas would often be the go-to substitutions, while in 2008/09 – another near title-winning season – it was David N’Gog and Nabil El Zhar we looked to for inspiration. Now it’s Sturridge, Origi and Can. Pochettino is absolutely correct in saying Liverpool’s squad is arguably the best in the country at present, and it bodes well for this season and beyond. Klopp hasn’t achieved this by spending ridiculous sums of money. It has been a well thought-out process, and it is reaping its rewards. He has brought in exactly the players he wanted, made young players feel like they belong in a Liverpool shirt and worked tirelessly getting his methods across in training. The Reds are now in a situation where they could field two strong starting XIs and have good players still left over, which is a wonderful position to be in. Klopp has created such a feel-good factor around the entire football club and everything looks extremely promising ahead of what we hope is a trophy-laden future under him.